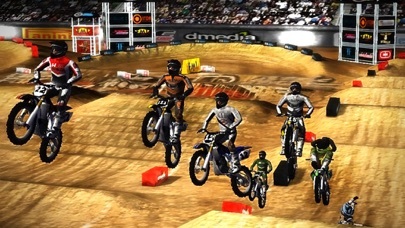 This version of Supercross works just fine on the iPod 4. The main difference between HD and the regular version from that standpoint is that there are 8 racers on the line compared to just 5 in the regular version. It makes for better racing, although the AI riders are still too slow for straight up racing, even on hard. But give them a big head start and pick your way through the pack. It's a lot more challenging with the additional racers. 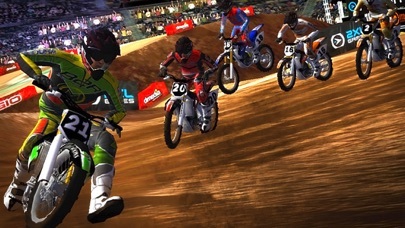 Other than that, there's multiplayer, but the tracks and bikes/riders are identical. 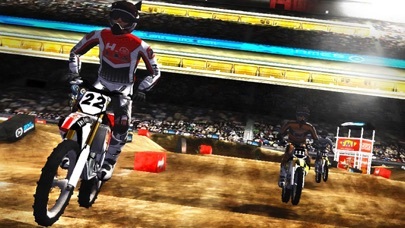 Great job on both versions of Supercross, 2XL. Now just make the AI guys faster and give us some more tracks! 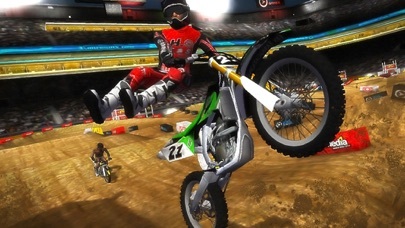 Maybe just give this game the tracks from Motocross Matchup. This game would be awesome with some National tracks, too! 1. Quit running my battery down! I'll play for 15 min. and my battery is down 25%! 2. Needs Game Center/TRUE Online Play. I think we deserve more than local multiplayer...ESPECIALLY you guys that have to pay $5 (I got it for free). 3. Needs a new game mode. Make it so we have to go through several races to unlock tracks, for that makes it more fun. 4. Needs better bike/rider options! I think I deserve to have my # and name on my bike & jersey. I love this game! 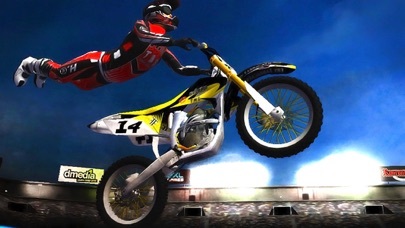 I like it, but if you're on a budget, download the Ricky Carmichael game by 2XL (FREE) or for a real fun time buy Mad Skills Motocross by Turborilla (99 cents).